That holiday by the beach might feel a long way away, so why not bring it a little closer with Tropical Fruit Tisane? Evoke strong, warm images of a sun-kissed paradise; turquoise waves brushing delicately against a soft, golden beach. Be transported with every sip. Experience powerful yet indulgent citrusy flavours with a distinct and delectable hint of Passion Fruit. 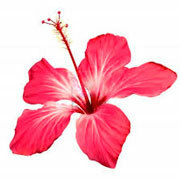 Our Tropical Fruit Tisane also offers hibiscus, apple pieces, papaya pieces, and natural flavouring. And that’s just to name a few. It is everything you’d expect and more. This tisane is also caffeine free, and is a great alternative to regular tea if you’re looking to cut down. Tropical Fruit Tisane can keep you invigorated without unwanted side effects such as jitteriness and sleeplessness. Dream again with this wonderfully aromatic and wholesome beverage today. We know little of the history of fruit tisanes. However, they were likely a creation long before tea existed. When tea was eventually discovered in 2737 BCE, fruit and herbal tisanes (such as this one) became less and less popular over the course of many centuries. A resurgence took place during the 17th and 18th Centuries when European colonists travelled to “The New World” and began living off the land. Fruit Tisanes also have a close association with the establishment of the United States of America. This was following the Boston Tea Party, an event that saw large quantities of Green Tea thrown into Boston Harbor in protest of extortionate British Tea taxes. With British blockades surrounding the fledgeling country, many soon-to-be American citizens opted instead for tisanes made from ingredients readily available from home. To say the fruit tisane helped kickstart America would be an overstatement, to say it supported the birth of a nation, one cup at a time, would be far more suitable. In many ways, the story of the fruit tisane is an American one. But still, fruit tisanes such as Tropical Fruit Tisane are enjoyed all around the world. Ingredients: Apple pieces, hibiscus, rosehip shells, papaya pieces, citrus peels, natural flavouring, and passionfruit pieces. Brewing Instructions: Brew using freshly boiled water and infuse for 8 to 10 minutes. How to Serve: This fruit tisane is best served without any accompaniments. Tasting Notes: A warming, citrusy infusion to the last drop, Tropical Fruit Tisane boasts strong tangy flavours with a sweet aftertaste. Colour in Cup: Deep red liquor, dark in tone. 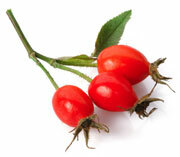 Health Benefits: Who ever said there were no health benefits to fruit tisanes? Simply not true! It just depends on your perspective. A recent study has suggested that chronic stress disrupts our sleep and, arguably most important, our blood sugar levels. This leads to increased hunger and comfort eating. This then leads to further disrupted sleep, even higher levels of stress and even more disrupted blood sugars. Ultimately, this not only causes unhealthy levels of body fat, but also, very potentially, Type II Diabetes. But what's the answer? Brew up a cup of Tropical Fruit Tisane and stop stressing! Depending on the severity of your stress, it can honestly be that simple!